When it comes to event venues Edinburgh has it all. Whether it’s a vast open Space to host a conference or a smaller venue for a drinks reception. Rest assured you can find just what you need in the Scottish capital. Here’s our selection of the top seven event venues Edinburgh has to offer. Ideal if you are looking for a Space that promises to impress and amaze. 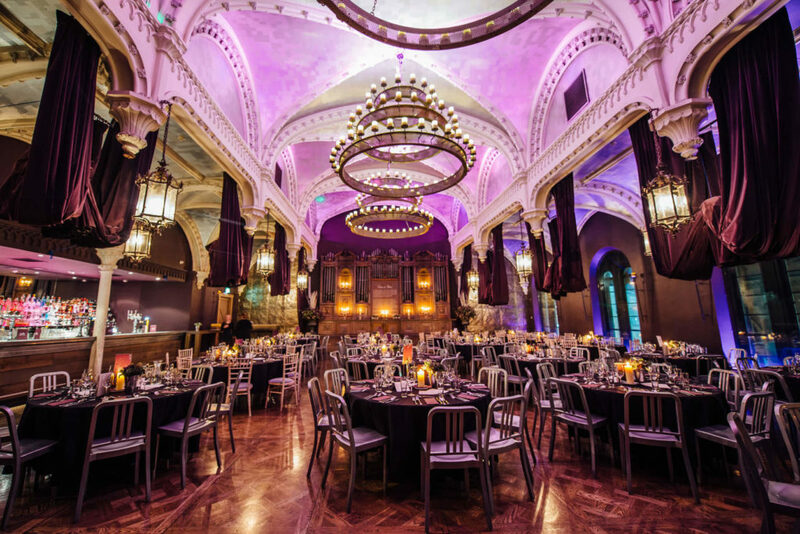 The Auditorium at Ghillie Dhu is one of the finest event venues Edinburgh can offer you. This award-winning venue dates back to 1842. 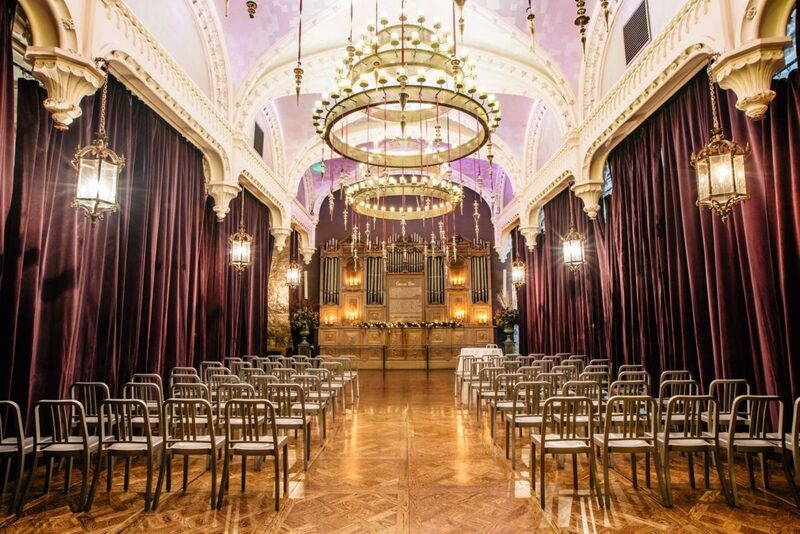 Recent times has seen it lovingly restored to its former glory and is sure to make your event memorable. The Space is easily adapted to suit a range of events, but is most impressive for a private party or elaborate private dining event. The venue comes equipped with long banqueting tables, plush sofa areas, fully stocked bar and round dining tables. 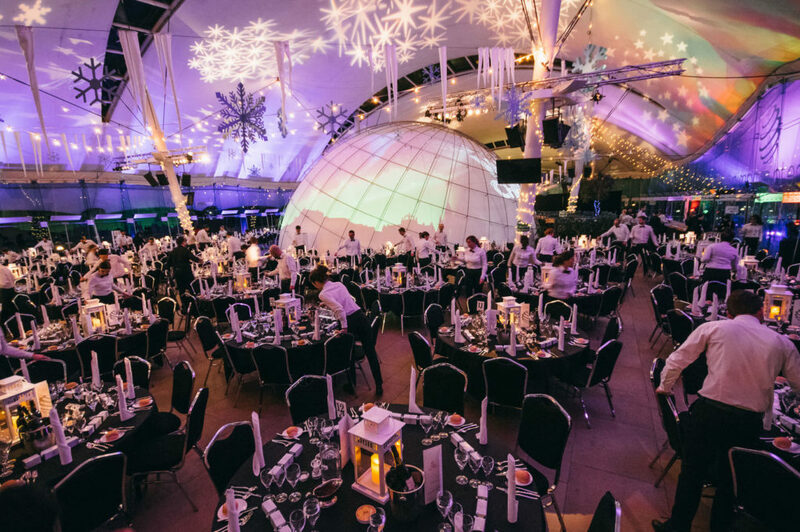 Dynamic Earth is a leading conference and private party venue in Edinburgh that attracts visitors from all over the world. The unusual interior makes the Space a memorable event location and is definitely a Space your Guests won’t forget. Dynamuc Earth features a magnificent translucent roof and glass walls. The dramatic setting of the Stratosphere will ensure any private event is unique. In a prime location near to Edinburgh Old Town, this venue is ideal for larger events with capacity for up to 1200 Guests. Looking for an event venue outside of the hustle and bustle of the city centre? Greywalls is a stunning location for just that. This sea view locale is ideal for private events. The picturesque surroundings are sure to serve as an incredible spectacle to your Guests. Versatility is not hard to come by at Greywalls. Whether you require a striking Space to make an impression on your colleagues, or an astounding venue to host a celebration, Greywalls can accommodate for any manner of event. For a luxurious venue hire in Edinburgh The Dalmahoy Hotel and Country Club is a top pick. Providing a beautiful backdrop to confernces, corporate celebrations or networking venues, this versatile Space is not one to miss. For large events, the main function suite can accommodate up to 300 Guests. But with 215 rooms and suites within the 1000-acre venue, smaller events can also be hosted in a variety of Spaces. There are two 18-hole golf courses, luxurious leisure facilities and a state-of-the-art fitness centre also on site. You can be sure, The Dalmahoy Hotel and Country Club will impress. 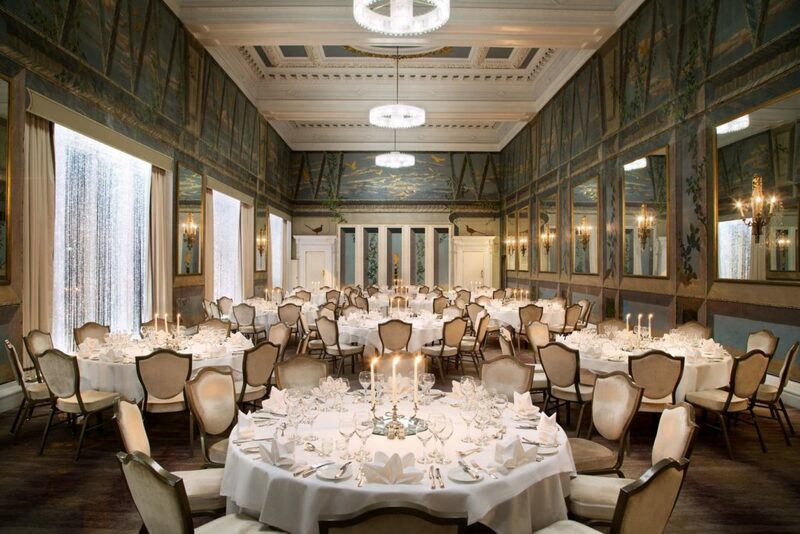 The Castle Suite at Waldorf Astoria Edinburgh is an enviable event venue. The Space is adorned with images of Scottish wildlife and chandeliers to add a homely touch. The Space offers a stunning view of Edinburgh Castle and is ideal for a range of private events including wedding receptions and conferences. With space for between 80 and 500 Guests, the Castle Suite is the ideal event venue to hire in Edinburgh. 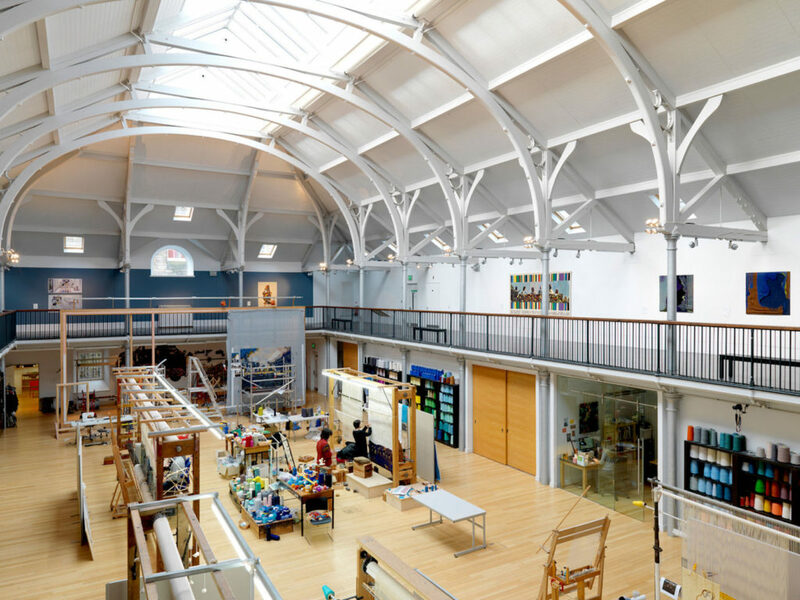 Dovecot Studios provides an accessible venue at the heart of Edinburgh’s historic Old Town. A venue with high ceilings, grand beams and a dramatic curved ceiling. Whether it’s a small intimate drinks receptions or meeting to a larger occasion such as a wedding reception or awards ceremony, the Space can meet your needs. Hiring the Weaving Floor also gives access to the Viewing Balcony above bringing the capacity up to 500 Guests. 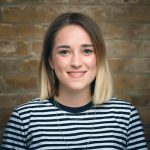 Search, book and pay with HeadBox for the perfect spot to host your next event. If you didn’t find what you were looking for, check out our other Edinburgh event venues ready and available to hire now.